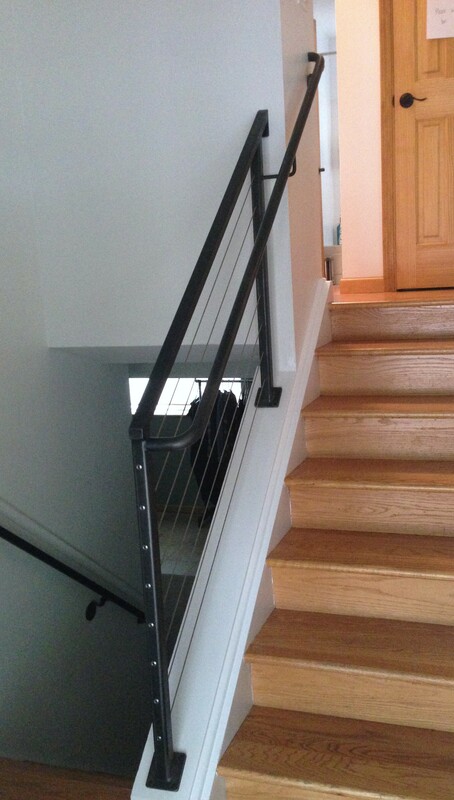 New home construction in South Boulder sports the clean and classic yet modern look indicative of a cable railing system. 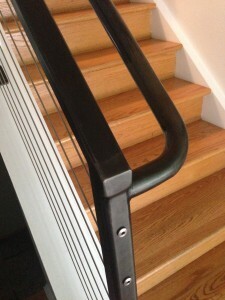 Powder coated a matte black, we like the handrail addition to this cable railing system. Adding an additional element of safety, the return on the bottom of the handrail is unassuming yet clean and simple.